Anyone with Hyper/Hypothyroidism needs to redouble their efforts to rapidly cleanse the system. The Thyroid Gland is key to overall health. Produces T3 & T4 hormones (Iodine Atoms). Iodine helps regulate metabolism in the body. 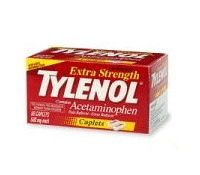 Thyroid synthesizes vital T3 (rare) from T4 (plentiful). Body needs 150 mg per day – 80% comes from T4 conversion to T3 in the Liver. The Pituitary gland also plays a role in Thyroid function by moderating the production of both T3 and T4 (Iodine Atoms). The Hypothalamous in turn regulates Pituitary function. The Thyroid is weakened & neutralized by processed food & white sugars, All sorts of problems can occur. Diabetes 2 is common amongst the youngest & most vulnerable. T3 & T4 regulate body temperature & metabolic rate of every cell in the body (biochemical reactivity). 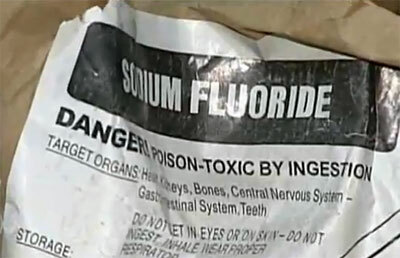 NOTE: Sodium fluoride added to toothpaste & urban water reservoirs attacks the pineal gland. The Thyroid Gland is critical in the body. The extent of its ability to function normally determines your degree of overall heath. It is a bell weather indicator. A compromised immune system is much more vulnerable to infection & seasonal influenza. Vaccines undermine the immune system by introducing live viruses & toxic heavy metals to an already overloaded network. The synergy of immunological, neurological & physiological well being hangs in the balance. Thus the delicacy of our glands must be protected. 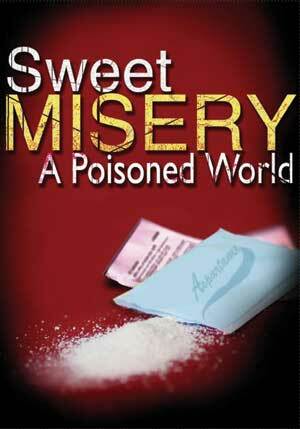 Otherwise a domino effect of sickness & long term deterioration of health are inevitable. DIABETES 2: Insulin resistant Diabetes (escalating in numbers). DIABETES 3: Triggered by hypersensitivity to Cell Phone/Computer/Microwave Radiation. 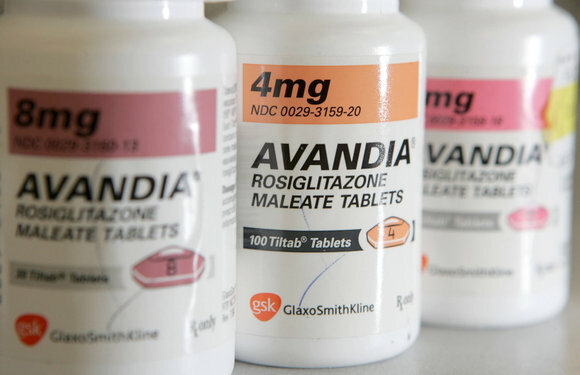 DIABETES 2 SCANDAL & COVER-UP – ‘A new Senate report says that drug maker GlaxoSmithKline knew of possible heart attack risks tied to Avandia, its diabetes medication, years before such evidence became public. They are also asking the U.S. Food and Drug Administration why it allowed a clinical trial of Avandia to continue even after the agency estimated that the drug caused 83,000 heart attacks between 1999 and 2007. Diabetes drug ‘Dapagliflozin’, manufactured by Bristol-Myers Squibb Co. & AstraZeneca, has been linked to breast & bladder cancer – based on a major 2 year study (9 breast cancers & 9 bladder cancers were seen among 5,478 patients). “No doubt they’ll bring this up at the advisory committee. But I’d be very surprised if this blocked approval.” Patients probably already had the cancer when they enrolled in the trial, Schoenebaum said. TRANS-FATS: Fats are integral to the body. They are incorporated in every cell in the body assisting in nerve conduction & hormone production. A hydrogenated fat is a man made fat. It’s been chemically altered, overheated, bombarded with heavy metals (nickel, cobalt) to catalyze the process. Then they force hydrogen gas into it to turn it into a saturated fat, making it more solid like butter (bonding process – rearranges the chemical structure of the oil to make it more solid). In the food industry this process is referred to as “plasticizing the oils”. Hydrogenated fats are found in all processed foods ; cookies, crackers, cakes, sauces, condiments. Purpose: Increases shelf life & yields much more produce than natural butter or cream. Result: The liver cannot break it down or metabolize it. It floats around in your bloodstream indefinitely. Linked to Heart Disease, Diabetes 1 & 2, General Thyroid & Gall Bladder Disfunction, Inflammation & Obesity. Phytonutrients work as antioxidants to disarm free radicals before they can damage DNA and cell membranes. Recent research indicates that the phytonutrients in vegetables like kale work at a much deeper level, signaling our genes to increase production of enzymes involved in detoxification, the cleansing process by which the body eliminates harmful compounds. Kale is a rich source of organosulfur compounds, which have been shown to reduce the risk of many cancers, especially one of the most deadly forms, colon cancer; due to their unique role in blocking the growth of cancer cells and inducing cancer cell death (apoptosis). 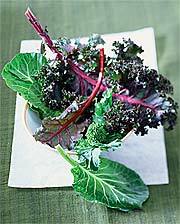 Organosulfur compounds known as glucosinolates are present in the cruciferous vegetables of the Brassica genus. These compounds are broken down into potent anticancer compounds called isothiocyanates in the body, which are powerful inducers of cancer-destroying enzymes and inhibitors of carcinogenesis. 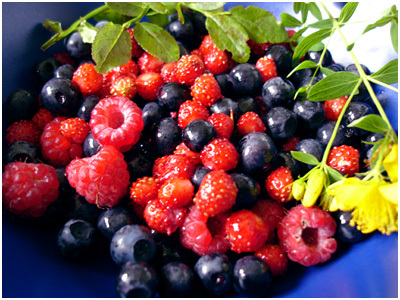 ‘Incorporating berries and other fruits in your diet may pay off by reducing the risk of Parkinson’s disease. A new study shows men who ate the most foods rich in a group of antioxidants known as flavonoids were 35% less likely to develop Parkinson’s disease than those who ate the least. Major dietary sources of flavonoids include berries, apples, tea, red wine, chocolate, and citrus fruits. The Mitochondrial System becomes damaged with exposure to toxins & heavy metals. Mitochondria are little energy powerhouses within the cells that produce a very high energy phosphate molecule called ATP (Adeonosine Triphosphate) – the energy currency of your cells. CQ10 (Co-enzyme Q10) is an enzyme produced in the Liver which regulates vitamin C & E & fights Free Radicals, helping to restore energy balance in the body by repairing damage done to the Mitochondria. It hydralizes to ATP a lot of free energy released , replenishes the body with energy. Ubiquinol in its reduced form contains a high level of CQ10. 3) Diabetes – ‘People who take high doses of cholesterol-lowering drugs such as Pfizer Inc. (PFE)’s Lipitor and AstraZeneca Plc (AZN)’s Crestor have a greater risk of developing diabetes. The finding supports work from the same researchers published last year showing patients taking the drugs known as statins were more likely to develop diabetes than those given a placebo. The risk of diabetes rising in parallel with the amount of medicine taken by patients strengthens the association, the researchers said. The researchers analyzed five earlier trials, involving 32,752 patients, to tease out the effect of the drug dose. Those getting intensive treatment were 12 percent more likely to be diagnosed with diabetes, the study found. 4) Muscle Disorders/painful Muscle Conditions – According to Dr. Joseph Mercola it is vitally important to realize that there are different sizes of LDL cholesterol particles, and it’s the LDL particle size that is relevant (as opposed to just the overall level of LDL’s); as small particles get stuck easily and cause more inflammation. Statins do not modulate LDL particle size. The only way to minimize LDL particle related inflammation and damage is through your diet. In fact, it’s one of the major things that insulin does. 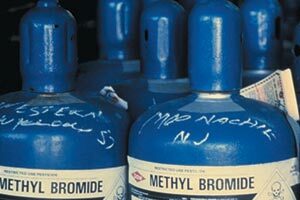 BROMIDE is an insidious additive used in many common products, and as a pesticide. Because of the sheer amount of bromide supplemented products, exposure to this man-made additive has caused a depletion of iodine in human populations. Studies in lab animals provide alarming evidence that even small amounts of bromide exposure can be toxic. Bromide is found in pesticides (methyl bromide), some bread products (potassium bromate), brominated vegetable oil that may be added to citrus-flavored drinks (ie. Mountain Dew, Orange Crush), hot tub cleansers, certain asthma inhalers and prescription drugs, plastic products, some personal care products, some fabric dyes, and as a fire retardant in mattresses, carpeting, etc. Iodine depletion weakens the thyroid and other organs. In individuals where the bromide-iodine ratio is less, bromide may not be problematic. Elevated bromide levels have been implicated in every thyroid disease, from simple hypothyroidism to auto-immune diseases to thyroid cancer. Bromide levels are found 50 times higher in thyroid cancer than normal thyroid tissue. Rats fed even the minimal amount of bromine expected to be encountered in the environment underwent goiter-like changes, an arguable case of bromide dominance. In the FIRE project, exposing rats to the brominated flame retardant compound, bromocyclodecane, showed consistent effects on the thyroid hormone axis, including decreased T4. Thyroid gland cells have increased size and larger nuclei, indicating increased synthetic activity. Based on animal research, bromides have also been linked to behavioral problems, neurodevelopment and attention deficit hyperactivity disorders (ADD/ADHD) in children, depression & schizophrenia. The European Union has already banned some PBDE (polybrominated diphenyl ethers) compounds, and it is hoped that countries still allowing their use will follow suit. Back in 1999, the Center for Science in the Public Interest petitioned the FDA to prohibit the use of potassium bromate, charging that the FDA has known for years that bromate causes cancer in lab animals, but has failed to ban it. As of September 2007, the US FDA responded to Breast Cancer Choices inquiry with the statement, ” Potassium Bromate is still listed as a safe additive.” Despite multiple bans on Bromide containing products including PBDE (polybrominated diphenyl ethers) & methyl bromide (pesticide) most G20 nations have been granted exemptions based on “economic pain”. EPA Guidelines: While most uses of methyl bromide have been phased out, certain “critical” uses (i.e., those for which there are no available alternatives) are exempted. A) Soil fumigant: Methyl bromide gas is injected into the soil before a crop is planted. This treatment, which effectively sterilizes the soil, kills the vast majority of soil organisms. B) Commodity treatment: Methyl bromide gas is used for post-harvest pest control and can be injected into a chamber or under a tarp containing commodities such as grapes, raisins, cherries, nuts, and imported non-food materials. C) Structural pest control treatment: Methyl bromide gas is used to fumigate buildings for termites, warehouses and food processing facilities for insects and rodents, aircraft for rodents, and ships (and other transportation vehicles) for various pests. NOTE: We have to start treating these common additives as high grade poison. Education is needed. Think of your body as a Stradivarius Violin. Every time you expose it to these toxins it loses more of its inherent resonance. By middle age most of us have lost the finer qualities of that gift given to us. Granted many are born with pre-existing medical issues. But the odds are most of you reading this have experienced a deterioration of overall health since your early years. There are specific reason why. And there are solutions to the problem. Self sufficiency begins at home. Everyone please be aware it’s not just bread & flour you have to be concerned about. This product is being used as fire retardant in your pillows, couches, mattresses, most likely everything stuffable throughout your home. It’s also in your water. Research for yourself. Find the official water quality report for your region, most recent one. You’ll find Bromide in it. It’s also being used a a fumigant in farmers’ soil so again it’s insidious. 1) Activated Charcoal, 2) Chlorella, 3) Zeolite Rock Powder/Liquid Zeolite, 4) Bentonite Clay 5) Kale, 6) Cilantro. NOTE 1: Post Partum Depression may be the result of Hypothyroidism; as the baby leeches the mother of essential Fatty Acids & vital trace minerals during pregnancy – the hallmarks of thyroid disorder. NOTE 2: Pharmacologic doses of estrogen depress the secretion of thyroid hormone by suppressing TSH (Thyroid Stimulating Hormone). NOTE 3: The Thyroid Gland serves a tremendous purpose in the body. The extent of its ability to function normally determines your degree of overall health. It is a bell weather indicator. NOTE 4: ‘Multiple Chemical Sensitivities‘ (MCS) is a lesser known condition quite similar to Thyroid Disorder. Long term chronic exposure to environmental toxins weakens the body’s immune system; in the case of a growing number this leads to an acute sensitivity to commonly used chemicals products including perfumes, air fresheners & laundry softeners. The symptoms, which are chronic and may become acute in a crisis, include fatigue and respiratory, digestive, cardiovascular, dermatological and neurological problems. NOTE 5: By merely treating the symptoms of Diabetes & Thyroid Disorder the purveyors of Western Medicine ensure you a lifetime dependency on Pharmaceutical drugs (which will further erode your health); while ultimately doing nothing to address the underlying causes of the problem. 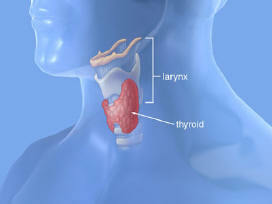 All of us are coping with some degree of Thyroid Disorder, either Hypo or Hyperthyroid. Generations of mass vaccine programs, the resulting vaccine trauma our parents & their parents inherited was passed on to us. Meaning we are all acutely vulnerable to environmental & dietary toxins; one of the main side effects of heavy metal/live virus build-up in the body is this breakdown of the auto-immune system. The killers include – SUGARS, GLUTENS, CASEINS, PASTEURIZED MILK, POLY OILS, IONIZED SALT, FLUORIDE, ALL PROCESSED FOODS, ALL GMO PRODUCE. RECOVERY OF OPTIMAL HEALTH BEGINS BY ELIMINATING THESE HAZARDS FROM YOUR DIET AND REPLACING THEM WITH A HEALTHY MIX OF: Vitamin D3, Niacin, Omega 3 Fatty Acids, Selenium, Vitamin C, Colloidal Silver, Oil of Oregano, Coconut Oil, Noni Juice, Magnesium, Zinc, Curcumin, Spirulena, Activated Charcoal, Bentonite Clay, Chlorella, Zeolite Powder, Kale & Cilantro (last 6 absorb heavy metals accumulated in the body). I would also recommend adding organic Celery & Beets, Red Grapes with seeds & Apples (both eaten whole) to your diet. A daily swig of Organic Apple Cider Vinegar is also vital to help restore the Alkaline balance in your body. This list is really just a primer for total health regeneration. NOTE: Your body’s inherent defense mechanisms & primary Thyroid functioning (which regulates your overall metabolism primarily by preventing the over-abundance of free-radicals) are severely compromised by vaccine derived toxicity. This in turn inhibits the body’s ability to process nutrients effectively. Dr. Andrew Wakefield identified the gut/brain correlation in children with Autism all of whom received the MMR vaccine at 12 – 15 months (Inflammatory Bowel Disease a major common denominator). 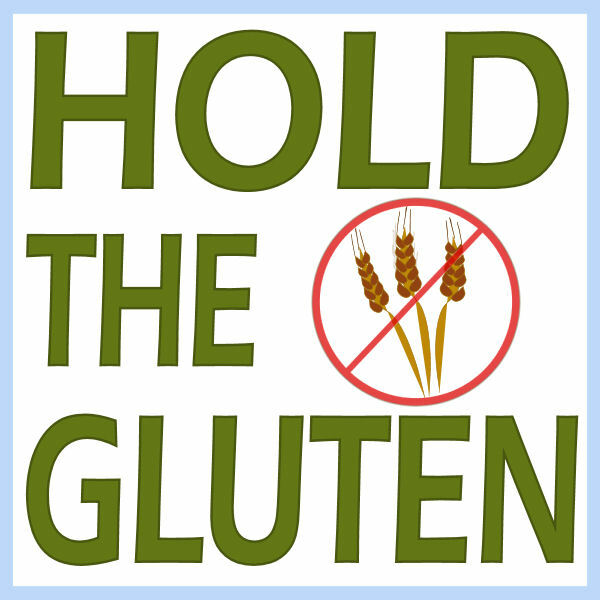 By treating the immunological intolerance of Gluten, removing it from the diet, the bowel symptoms got better but also the behavioral symptoms got better. Primary Treatment: Fibre mini Salicylates (plant based anti inflammatory) + Gluten Casein free diet (elimination of milk, wheat, rye barley, yeast intake). FLUORIDE is an Endocrine disruptor, targets the Thyroid Gland – which regulates body temperature & the metabolic rate (biochemical reactivity) of every cell. 1) Attacks immune proteins so they don’t recognize body proteins, resulting in autoimmune disease, and in particular autoimmune hypothyroidism — Hashimotto’s Disease. 2) Slows process where iodine is attached to tyrosine to make the two thyroid hormones T-4 and T-3. 3) Causes a G protein to switch off the uptake of the active thyroid hormone into the cell. 4) Inhibits TSH output from the pituitary gland, thus reducing the thyroid hormone output. 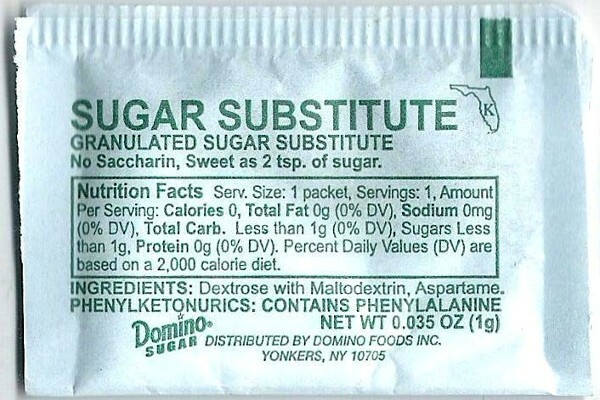 Like Aspartame. 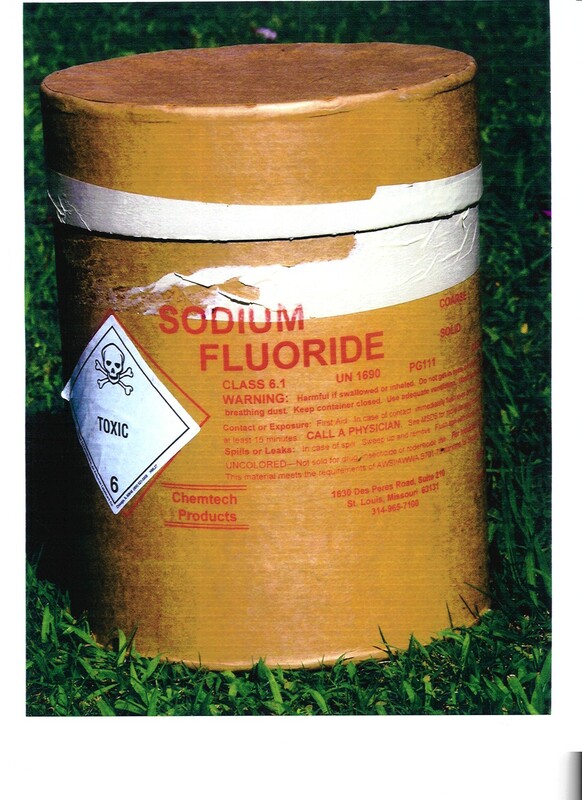 Fluoride is a Serotonin re-uptake inhibitor. Important to know this connection as it interferes with our body’s natural response mechanism. The interaction of Aspartame with Fluoride & that of any anti-depressant is usually the tipping point in incidents of extreme violence such as occurred at Columbine High School. It is also highly reactive to metals such as aluminum (causing aluminum fluoride complex , a powerful de-protein receptor stimulant). “Fluoridation is the tip of the enhancement iceberg. Science is progressing fast to develop safe and effective cognitive enhancers, drugs which will improve our mental abilities. For years, people have used crude enhancers, usually to promote wakefulness, like nicotine, caffeine and amphetamines. A new generation of more effective enhancers is emerging modafenil, ritalin, Adderral and ampakines and the piracetam family of memory improvers. 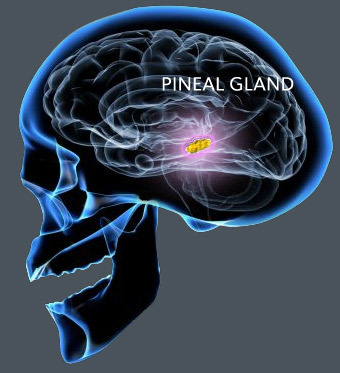 The Pineal Gland, considered the master gland, which oversees the entire process of metabolic function in the body, ‘five times superior to glutathione in scavenging free hydroxyl radicals‘ (referred to as the ‘third eye’ in ancient cultures), traditionally grew to the size of a quarter in the human body, before the introduction of sodium fluoride into the water supply & widespread use in toothpaste products – when natural immunity could thrive unhindered by such toxic detritus. Today, the average size of the Pineal Gland in most consumers in the west has diminished to that of a withered dime. ‘Ancient manuscripts call the different glands in the body seals, and by a seal, we mean something which opens and closes. Ancient medical literature states that the glands actually operate according to frequency, a term which is becoming very popular these days in nuclear and quantum physics. The frequency of the glands was known thousands of years ago, but we have forgotten much of this information. In ancient terms, the pineal gland was called the sixth seal or sixth gland of the body. We have recently discovered that it stimulates two major hormones called serotonin and melatonin. 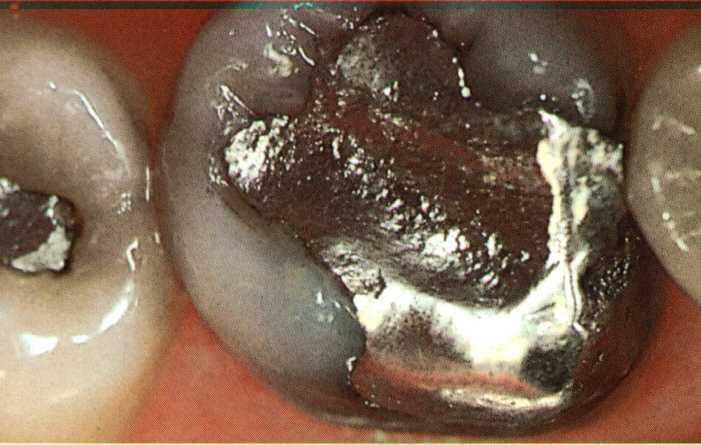 Mercury from amalgam fillings has been shown to be neurotoxic, embryotoxic, mutagenic, teratogenic, immunotoxic and clastogenic.It is capable of causing immune dysfunction and auto-immune diseases. NOTE: Fluoride & Bisphenal A Plastic leakage pose serious long-term health risks including Bone Cancer, Thyroid/Pineal Gland disfunction & Synthetic Estrogen induced hormonal imbalance. 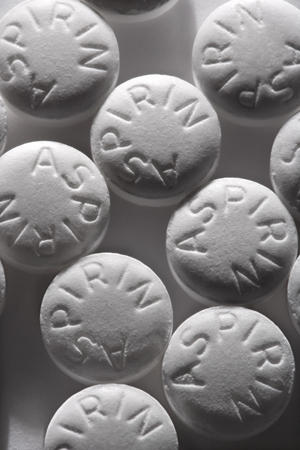 ASPIRIN impairs Thyroid function, depleting the Vitamin C levels of the white bloods & lymphocytes in the lungs. The flu virus triggers this weakness causing hemorrhaging in the lungs. Aspirin not only suppresses the fever (a critical stage in getting well again – essential part of the body’sown natural healing process) but it also destroys the liver over time & can cause sudden bleeding. This weakness can lead to Pulmonary Edema in worst cases. Most people who catch the flu die of bacterial pneumonia, NOT from the flu itself. NOTE: All high risk groups are deficient in Vitamin C.